The protection of cultural heritage in crisis areas and the fight against illicit trafficking of works of art are the priorities of the G7 Ministerial meeting on Culture, to be held on March 30-31 in Florence. 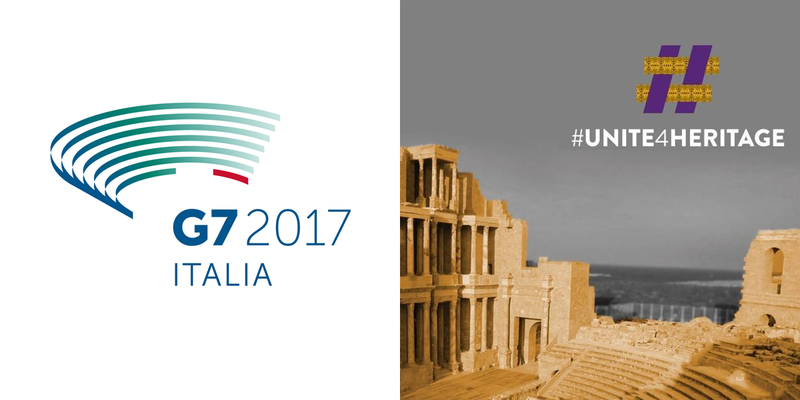 The G7 commitment is part of Unite4Heritage, an initiative launched in 2015 by UNESCO to exhort Member States to take initiatives to enhance and protect the cultural heritage - preserving it from damages in war zones - and to educate young people worldwide to promote culture as a tool for integration, growth, and sustainable development. As part of Unite4Heritage, Italy has launched a proposal to establish a task force to protect the world's artistic heritage. In February 2016 a memorandum between the Italian Foreign Ministry and UNESCO has established the so-called "blue helmets of Culture", a rapid response team with highly qualified staff composed of members of Carabinieri's Cultural Heritage Protection Unit, art historians, scholars and restorers. Their function is to assess the risks and quantify the damage to cultural heritage, develop action plans and urgent measures, supervise technical training for local national staff, provide assistance to the transfer of goods in safe shelters and strengthen the fight against looting and illicit trafficking of cultural goods.